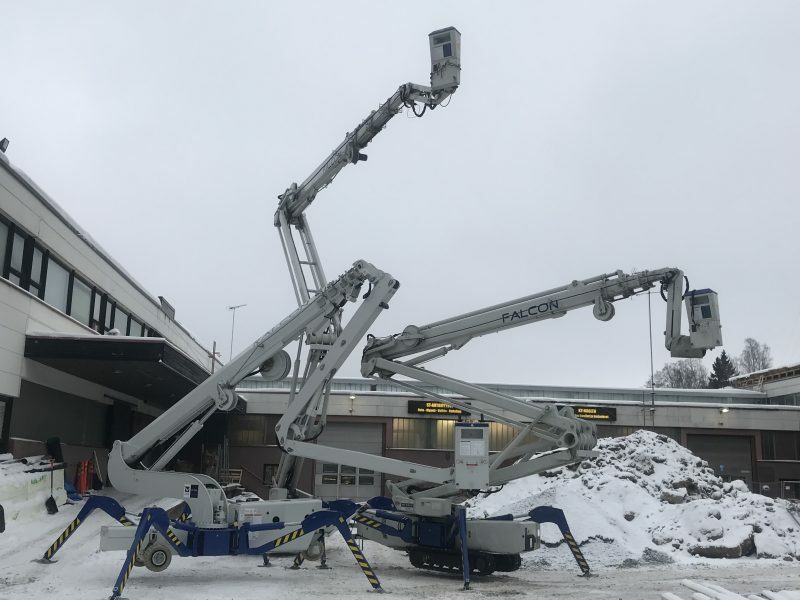 Finnish construction company Suomen Kiipeilyteknikka has taken delivery of two Falcon spider lifts, a 29 metre FS290 telescopic and a 33 metre FS330Z Vario articulated model. The FS290 features a five section telescopic boom and dual arm articulated jib, providing 14 metres of outreach with an unrestricted platform capacity of 100kg, or around 13 metres with 250kg platform capacity. The FS330Z features a dual sigma riser, telescopic boom and articulated jib, offering almost 19 metres of outreach with an unrestricted platform capacity of 100kg, or around 15 metres with 250kg capacity.